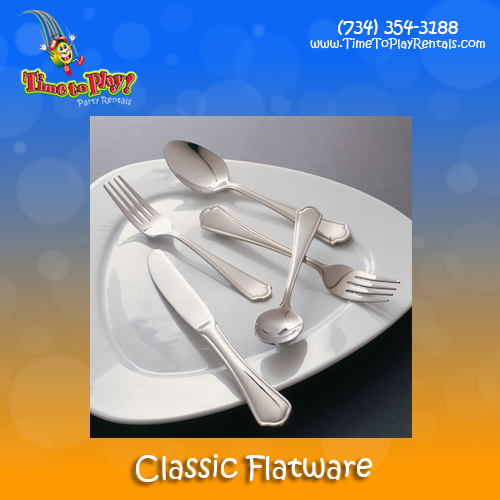 Our Classic Flatware is perfect for any occasion! With its classic scroll design, this collection of flatware complements a wide variety of table settings with subtle elegance. We offer dinner knives and forks, teaspoons, salad forks and butter knives.